We were lucky enough to have 2 Bon Voyage Parties! One was hosted by our dear friends, Pat and Linda Dwyer, along with the help of Mike and Melissa Anderson. 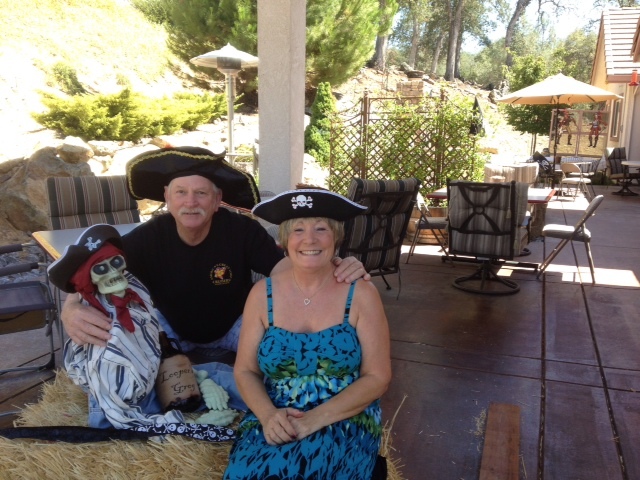 Family and friends attended this pirate themed event and enjoyed delicious food with a "hurricane" drink to enjoy. Our second party was held by friends at our dock in Tower Park. Quite unexpected but wonderful.